During this tour you will visit the tribal areas of the Adi Padam, Idu Mishmi, Digaru Mishmi, Khampti, Singpho, Tangsa, Lesu, Chakma tribes. Further you can take part in a (photo) safari in Namdapha Natural Park (optional). Day 01: Arrival at Dibrugarh in Assam. Transfer to hotel. Overnight hotel in Dibrugarh. Day 02: In the morning we will drive to Roing in Arunachal Pradesh. To get there we will have to cross the mighty Brahmaputra River. On our way we will visit a village of the Adi Padam tribe. Coming to Roing the Idu Mishmi are one of the two major tribes there. They inhabit the Lohit District, Dibang Valley District and Lower Dibang Valley District. They are mongoloid and speak the Tibeto-Burman language. Their major festival is the Reh-festival in the month of February (cf. festival calendar). Overnight in Roing. Day 03: Full day visit of Idu Mishmi tribal villages like Abango, Kuruno and Abali. The Idu Mishmi are known for maintaining an admirable sense of social bonding and unity among its members through their characteristic socio-religious rituals in daily life. Here you will have the chance to see a special Idu Mishmi priest dance. Overnight in Roing. 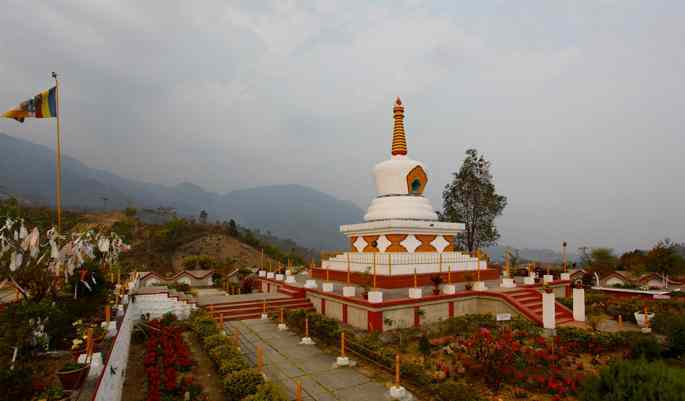 Day 04: Today we will drive to Miao in the Lohit District. Again we will have to take a ferry to cross the Lohit River.Overnight at a lodge near the river in Miao. Option one is to visit a Tibetan refugee camp and go to several tribal villages of the Singpho and Tangsa. By religion the Singpho people are Theravada Buddhists. 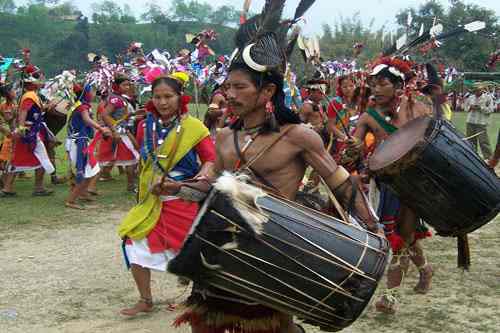 And the Tangsa are followers of the Donyi Polo religion, the traditional religion of Arunachal Pradesh. Option two is a visit to Namdapha National Park and make an elephant-safari through the beautiful park and watch the birds and other wild animals of this wildlife sanctuary. A unique feature of this park is that it covers the wide range of altitudes from 200 to 4500 m. Overnight lodge in Miao. Day 06: Today we will drive to Tezu. On our way we will visit the Lesu, Chakma and the Khamptis. The Khamptis are Buddhists (Hinayana Sect). All these tribes have their own special dances and clothes. In the afternoon we will visit a Digaru Mishmi tribal village. Overnight in Tezu. Day 07: Tezu is a nice, small town. In the morning you can visit the temple and the market. Around Tezu we will go to several villages of the Mishmi tribe. Overnight in Tezu. Day 08: In the morning we start to drive to Hayuliang. This is a beautiful drive through the mountains. We will visit several villages of the Mishmi tribe. They live in very isolated places. Woman still ware special big earrings. Overnight in Hayuliang. 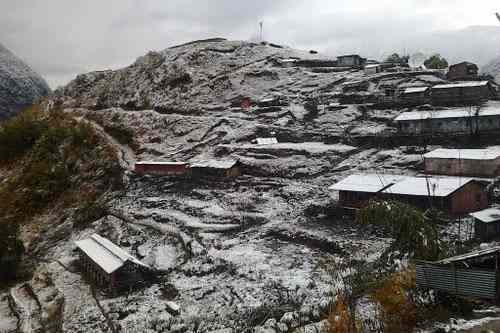 Day 09: Full day visit of remote and traditional Mishmi villages. Overnight in Hayuliang. Day 10: Today we will have to drive back to Tezu, visiting some villages on the way. Overnight in Tezu. Day 11: In the morning you can visit a Tibetan self help center. Later we take our way to Dibrugarh. On the way you can visit another Khampti village. The Khamptis are traditionally owners of elephants, with which they work in the forests. They cut trees and the elephants pull them out of the forest. In Dibrugarh our exciting tour will come to an end. Overnight hotel in Dibrugarh. · Local tour, wildlife safari and park fee (Namdapha National Park) as per itinerary.